The United Nations Educational, Scientific and Cultural Organization (UNESCO) has elected to Professor Juan E Jiménez, from Department of Developmental and Educational Psychology at the University of La Laguna for preparing a project about Formative Assessment of Writing in Early Grades (EGWA, Early Grade Writing Assessment). After the research phase, a team of international experts met at a scientific seminar in Palacio Lercaro of La Laguna to assess and make proposals to the draft submitted by the professor at the ULL. 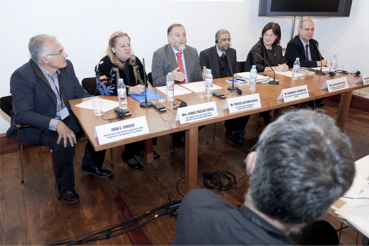 The inauguration ceremony was attended by the Vice President for Research and Knowledge Transfer ULL, Catalina Ruiz; the representative of UNESCO Subbarau Ilapavuluri; CEO Universities Canary Islands Government, Carlos Guitián; Councilman Chair, Planning, Housing and the City University of La Laguna, Antonio Pérez Godinho; the rector of Culture and Sports of the University of Las Palmas de Gran Canaria, Isabel Pascua; and the coordinator of the project itself. The usual protocol for UNESCO with all projects promoting is that your responsibility to submit it to a panel of international experts to analyze it in depth. In this case, experts come from universities and institutions in Argentina, Brazil, Canada, Chile, the US, Russia, France, Italy and South Africa. After completing this workshop, in the coming months Jiménez began to implement experimentally the program in some Primary Schools of the Autonomous Region of the Canary Islands for his driving and thus determine its effectiveness and potential for actual implementation. 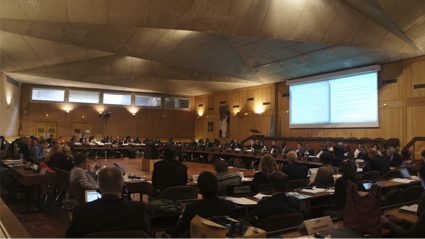 The meeting consisted of a round table were addressed in different thematic sessions issues related to the concept of literacy: what skills should it be seen in the XXI century, which advances the can encourage, or how to strengthen it and ensure its sustainability, among other subjects. 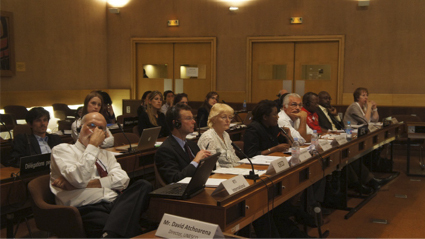 They involved mainly representatives of education authorities in 16 countries with precarious training systems and 30 international organizations related to learning and development. 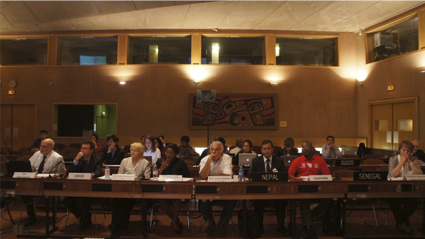 Juan E. Jiménez was one of three international experts who participated in the sessions, as well as representatives mentioned above. The other guests were Alfonso Lizarzaburu researchers, international consultant on matters assigned to the UNESCO education, and Daniel Wagner, Professor of Education at the University of Pennsylvania. 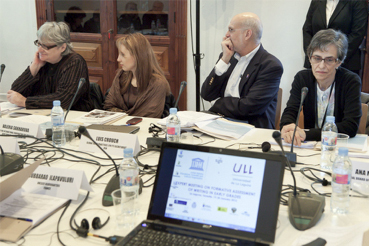 The professor of the ULL went as leader of the “Formative Assessment of Writing in Early Grades” coordinated between the academic institution and UNESCO itself, and was presented at the Lercaro Casa of La Laguna in January 2012. Jimenez presented the progress and results that have occurred in the process of piloting, evaluation and measurement of early learning skills in writing, which will emanate action guidelines for teachers, and could be applicable in other educational systems with the appropriate adjustments. At the Paris meeting was also awarded several prizes at international literacy initiatives that were awarded to projects in Chad, India, Bangladesh, Ivory Coast, Namibia and Colombia. The meeting also agreed to create an international coalition to ensure improvement initiatives that allow, on one hand, reducing illiteracy rates in the world and, second, to improve the quality of learning in developed countries because it still does not reach the expected levels.